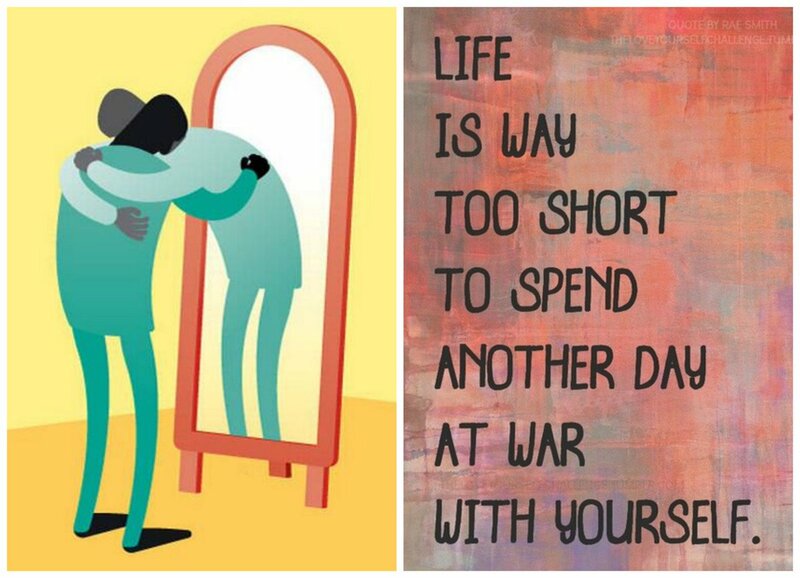 Believe it or not, 70% of the people in this world does not possess self-compassion. So what is self-compassion? When our best friend is having some difficult moments in his/her life, we will definitely offer our kindness to him/her. If we encounter difficult moments, do we treat ourselves with the same kindness that we offer to our best friends? What do we do when our best friend is sick? Of course, we will offer our kindnesses such as offering a glass of water for him/her or wishing him/her to get well soon. Do we offer ourselves a glass of water for ourselves or wish ourselves well in similar situations? Or are we, in our minds, self-criticizing ourselves for being useless and sick? When we are offering our kindnesses to others, do we offer the same kindness to ourselves? This article will introduce the concept of self-compassion and the research on self-compassion as well as some tips on applying self-compassion in our daily life. Kristin Neff is the researcher who conceptualised the construct of self-compassion. According to her, self-compassion consists of three main components, namely: (1) Self-kindness, (2) a sense of Common Humanity and (3) Mindfulness (Neff, 2018). Generally, we are kind to other people and we value this kindness in our society (Neff, 2016). However, we often forget to put much value on being kind to ourselves. When we make mistakes or fail, we often make harsh judgement about ourselves, in a very self-critical manner. Self-compassion allows us to acknowledge difficulties and inadequacies as parts of life that could not be denied or resisted, so that we could embrace ourselves with kindness, warmth and acceptance. Harsh self-judgement usually contribute to our feelings of isolation and this is one of the biggest issues in life. When we think about our personal failures and our own limitations, we have a tendency to feel isolated and separated from others. We irrationally believe our sufferings & struggles are abnormal compared to others who look like they are having an easier time. Common humanity allows us to acknowledge that all people make mistakes, fail, and feel inadequate in some way. Self-compassion allows us to relate our imperfections to the shared human experience which is a broad and inclusive perspective. Mindfulness allows us to be aware of the present in a clear and balanced manner, so that we do not ignore or ruminate on disliked aspects of ourselves or our life (Neff, 2018). Mindfulness allows us to take a balanced approach towards negative emotions so that feelings are gently treated rather than suppressing or exaggerating them. 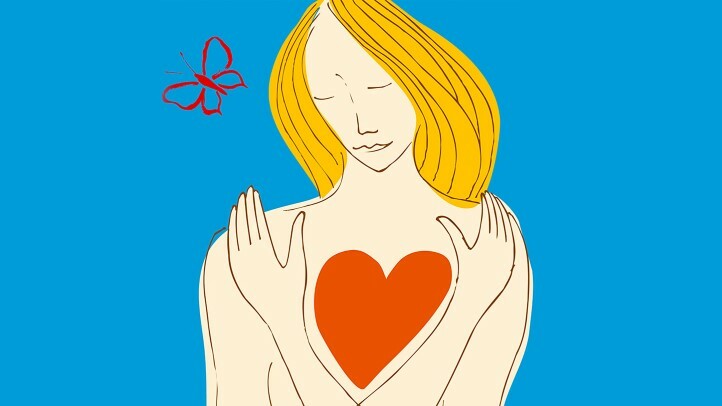 In general, self-compassion is linked to positive psychological health. Self-compassion has positive relations with self-reported measurements of happiness, optimism, positive affect, wisdom, personal initiative, curiosity & exploration, agreeableness, extroversion, and conscientiousness (Neff, Rude, & Kirkpatrik, 2006). Meanwhile, self-compassion also has a significant relation with negative affect and neuroticism (Neff, Rude, & Kirkpatrik, 2006). In addition, self-compassion is positively related to gratitude and satisfaction with life (Breen, Kashdan, Lenser, & Fincham, 2010). Also self-compassion is positively related to mindfulness, competence, intrinsic motivation, and relatedness (Neff 2003a; Neff, Hseih, & Dejitterat, 2005) which are the basic aspects of psychological well-being (Ryan, Huta, & Deci, 2013). Self-compassion also appeared as an element to promote psychological resiliency. Sbarra, Smith, and Mehl’s (2012) research suggested that self-compassion was important in helping people adjust after divorces. In the study, the research requested divorcing adults to talk about their thoughts and feelings on the separation in a 4-minutes stream of consciousness recording. Then, there were independent judges to evaluate the degree to which the dialogues expressed self-compassion. The research suggested that people who showed greater self-compassion when conversing their break-ups showed better psychological adjustment at the time of study and as well as at a 9-month follow-up. Research also suggests self-compassion may act as a support for university students to adjust to their university life. A study found that undergraduates who reported higher levels of self-compassion shown fewer feelings of homesickness in the first semester (Terry, Leary, & Mehta, 2012). Also, undergraduates with higher levels of self-compassion show less psychological distress when dealt with social difficulties and academic pressure in their academic careers (Kyeong, 2013). Self-compassionate people are able to acknowledge their sufferings and are able to be kind towards themselves in difficult moments as well as able to relate their sufferings with the rest of humanity (Neff, 2016). Based on a research examining self-compassionate people’s reaction to challenging life events, Leary, Tate, Adams, Allen, and Hancock (2007) found that people with higher rates in self-compassion were more likely to perceive their problems in a global perspective and experienced less feelings of anxiety, isolation, and self-consciousness when reflecting on their issues. Neff, Hsieh, and Dejitterat (2005) found that self-compassionate college students are kinder to themselves when they fail. They are more mindful of their failure is part of the common human experience, and are more aware of their negative emotions. They also able to perceive failure experiences as an opportunity to learn and grow. Research also suggested that self-compassion can be cultivated via training (Neff, 2016). Neff and Germer (2013) conducted a randomised controlled trial of the Mindful Self-Compassion (MSC) program. The study compared results for participants in MSC condition to results for participants in a wait-list control condition. The results suggested that participants from MSC program showed significantly increased in self-compassion, compassion for others, mindfulness, and life satisfaction, and also significantly decreased in anxiety, depression, stress, and emotional avoidance. Smeets, Neff, Alberts, and Peters (2014) designed a 3-week brief self-compassion intervention for female college students. 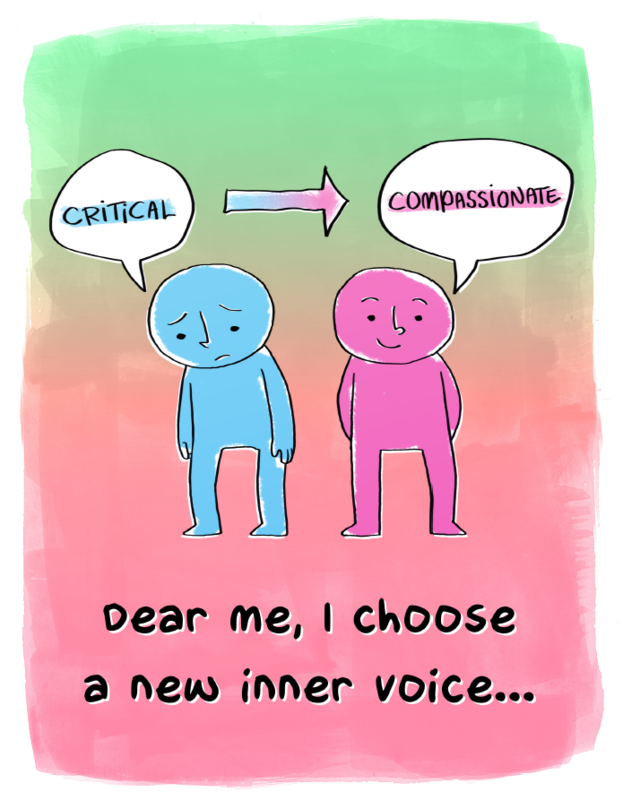 The intervention consisted of discussion, self-compassion activities and loving-kindness meditation, which was designed to identify inner critic and to discover compassionate ways to motive the self. The study suggested that participants from the self-compassion training reported significantly increases in optimism, mindfulness, and self-efficacy and also significantly decreases in rumination comparing to participants from a time management control group. At a certain point of our life, we need to refresh ourselves so that we can contribute to others (such as our company, our college, or our family members). Giving ourselves a ‘self-care’ time may enhance our well-being as well as improve our ability to be with people. For example, you might listen to your favourite music, go for an exercise, hang out with a friend, or visit nature (garden, forest). We can try to write a daily self-compassion journal for one week (or it could be longer based on your preference). 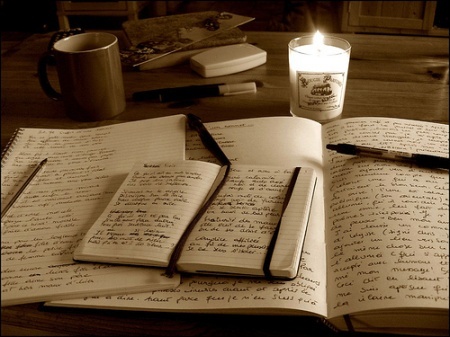 In the journal, we can write down anything we felt bad about, anything we judged ourselves for, or any difficult experience that caused us pain. 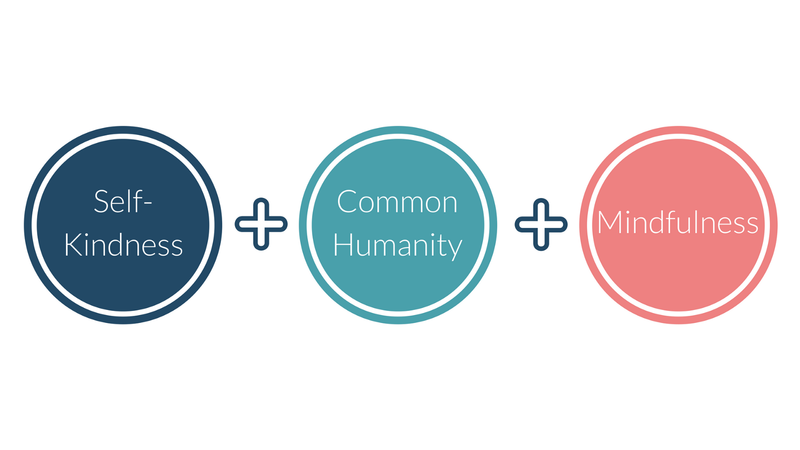 For each event, we could use (A) mindfulness, (B) a sense of common humanity, and (C) kindness to deal with the event in a more self-compassionate way. Mindfulness: This process allow us to bring our awareness to the painful emotions came from our self-judgement or difficult circumstances. We can write how we felt: ashamed, sad, stressed, frightened, and so on. When we are writing, we try to be non-judgemental and accepting our experience, not belittling it nor making it overly dramatic. (For example, “I was frustrated because she was being so slow. I got angry, over-reacted, and felt foolish afterwards.”). By practicing the three components of self-compassion, this writing exercise will facilitate us to organize our thoughts and emotions. Meanwhile, the writing will help us to encode our memory. If we keep a journal regularly, our self-compassion practice will become even stronger and translate more easily into daily life. In a difficult situation that is making ourselves stress, take a break and think the situation in our mind and observe whether we feel the stress and emotional discomfort in our body. Now, put our hands over our heart, feel the warmth of our hands and the gentle touch of our hands on our chest. Or adopt the soothing touch we discovered felt right for us. 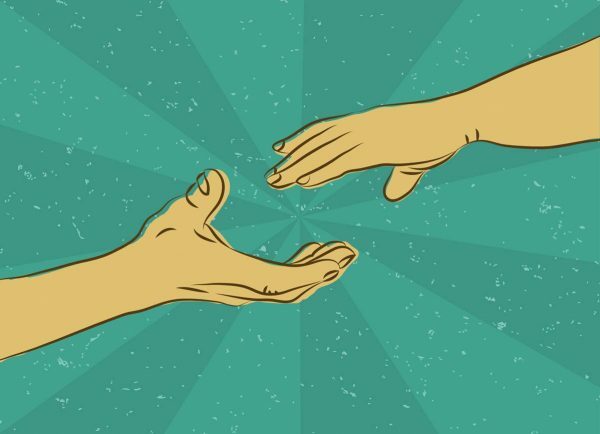 This practice can be used any time of day or night, and will help us remember to evoke the three aspects of self-compassion when we need it most. There are more tips on cultivating self-compassion in Kristin Neff’s website. We can try it out in her website! The self-compassion journal reflected my personal journey to embrace my limitations as a human being and to go beyond them by pursuing a more balanced perspective of my strengths. Throughout, the three components of self-compassion, namely mindfulness, self-kindness, and common humanity, assisted me to re-frame my difficulties in a meaningful way by mindfully acknowledging my situation and emotions. Then, I was encouraged to take a step back to reflect on others, who were perhaps, also facing the same difficulties as me (common humanity). Next, I was invited to provide a kind statement about myself, I added ‘self-hug behavior’ at the end of my journal which made me feel I was being loved, understood, calmed, and cared for. (3) Kindness towards myself, what are the kind words or actions that I can offer for myself? The brief instructions made it easier to write the self-compassion journal. Furthermore, I did not emphasize on my grammar and spelling when I was writing my self-compassion journal and I also did not bother with my writing style; I was trying my best to make myself comfortable in my writing. When I read back to my self-compassion journal, I only realized that my difficulties were observed in a gentle, kind and compassionate way. At least, I know that in some moment I am kind to myself. May I, and May you be well and healthy. *The content of the article is not written for the replacement of counselling, psychotherapy or intervention. You are advised to seek for professional help should you have any concerns. This website is great resource for those who like to understand self-compassion. The website consists of the update events of self-compassion, tips and suggestions on applying self-compassion, a measurement on self-compassion, and as well as a collection of publications on self-compassion. Posted in Psychology articles and tagged anxiety, articles, awareness, compassion, journey, love, mental health, positive, psychology, research, science, Self-help, Support.